I received a great response from all you awesome people to my Black Friday deal roundup, so I thought’d I do the same today and bring you all the greatest Paleo Cyber Monday deals in one place. I will update this post throughout the day as I come across new deals. My Paleo Gift Giving Guide will be coming next! Otto’s is bringing you a super special 20% off plus their already standard free shipping. Use code “Thankful4u” There is no other flour on the market quite like Otto’s. Superb quality, great flavor, great people, and it subs 1:1 for traditional flour! Get the deal here. 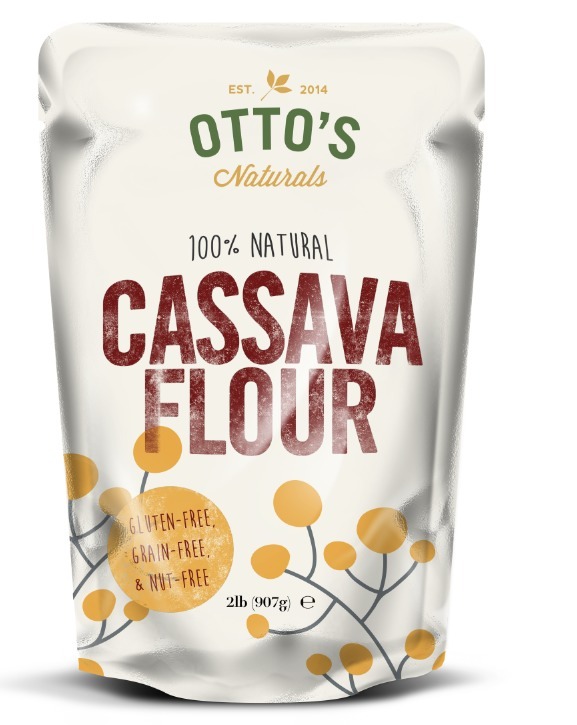 Looking for what to do with cassava flour? Try Cranberry Orange Cookies, Grain Free Cheese Its, Grain Free Chicken Tenders, Paleo Pumpkin Bites, and Soft & Chewy Cinnamon Raisin Nutbutter Cookies. Can you tell I LOVE cassava flour? Primal Palate is continuing their Black Friday spices special through Cyber Monday. Grab $24.95 off the everything set or 10% any other items using the code “Thanks” at checkout. The spice blends will elevate your cooking instantly. Sign up for the Paleo Dork mailing list to get first hand access to paleo specific deals. Today’s deals are crazy, including a free book, up to 40% off some of your favorite paleo brands including Bubba’s Fine Foods, RxBar, Pure Indian Foods, Exo Protein, and Nikki’s Coconut Butter. DON’T MISS THIS! It’s the deal that keeps on giving. Alright, poop is an important thing. Good poop is even more important. The squatty potty will seriously give you the best poop of your life. If you are a wife stuck with a husband (or vice versa) that takes an hour to poop making you late for everything BUY THEM A SQUATTY POTTY. My husband is going to hate me for this, but seriously…45 minutes is now 50 seconds! He even timed it! Nothing more paleo than taking a squat! If you purchase today you will get a free sweet-loo spray. You can also snag a deep discount on a multi pack – as cheap as $20 each. These are perfect gifts and are bound to create some laughter too! A must have for any serious foodie and 42% off! Click the photo to get the deal! Use the code “HOLIDAY30” for 30% any book. Ton’s of great paleo cookbooks to choose from. I grabbed Down South Paleo by Jennifer Robbins of Predominately Paleo for myself. DC Comics Wonder Woman Apron – cause nothing says you are the best wife ever like this! Grab 15% off all order with code “PALEO” here. Get a free bottle of Primal Sun with any purchase using code “FREESUN” at checkout – here. Get a Bare Bones broth mug free ($12 value) with any purchase using promo code “BROTHMUG” at checkout – here. Deal to be released to email subscribers later today. Sign up here.